THIS PAGE IS DEDICATED TO RESOURCES FOR MARINES AND THEIR FAMILIES. 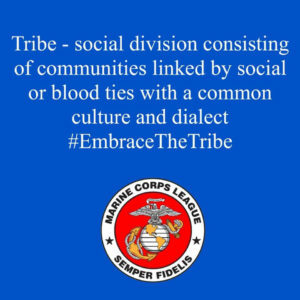 wE ARE NEVER ALONE, WE ARE A TRIBE OF MARINES. Thank You For Your Service. Now What? A great article in Popular Mechanics from October 2018. Invisible Scars a book by Bart P. Billings Ph.D.
“Vets 4 Warriors is the leading national peer support and resource connection network for veterans, service members, family members and caregivers who need answers and understanding from someone who knows what they are going through.” We serve veterans of all generations and the entire military community, from those who just put on a uniform, to the caregiver of a veteran who has long since stopped wearing a uniform. 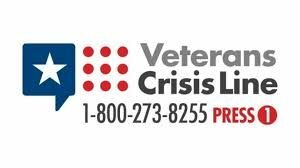 Vets 4 Warriors provides peer to peer support, access to resources and a confidential no judgment zone where veterans, service members, family members and caregivers can get help finding answers to any question they may have. You’re part of a military family that numbers in the millions. You share common experiences, values and feelings of being in this together. That’s community. To support and bolster your own family, lean on your military community – including Military OneSource – to find answers and guidance from those who have been there, done that. The U.S. Chamber of Commerce Foundation’s Hiring Our Heroes initiative launched in March 2011 as a nationwide effort to connect veterans, transitioning service members, and military spouses with meaningful employment opportunities. Working with the U.S. Chamber of Commerce’s vast network of state and local chambers and strategic partners from the public, private, and non-profit sectors, our goal is to create a movement across America in hundreds of communities where veterans and military families return every day. Our digital resources include distinct resume builders for veterans and transitioning service members as well as military spouses; a jobs portal that allows veterans and service members to search for employment opportunities in America’s fastest growing job markets and industries; an interactive employer best practices site; and a virtual mentorship program that connects veteran and spouse protégés with experienced mentors. These online tools have also been integrated into the employment workshops that take place at hundreds of our fairs. Our goal is to ensure veterans, transitioning service members, and military spouses are able to utilize our resources to connect with employers no matter where they are in the world. The foundation has a blocked scholarship fund which assists funding the Marine Corps League’s Scholarship Program. These scholarships are granted to children and grandchildren of members of the Marine Corps League and its Ladies Auxiliary. Applications are encouraged by League members from every state and the local sponsoring Detachment is responsible for determining that the applicant(s) it is sponsoring have demonstrated through activities or interviews that values such as respect, attitude, patriotism and self-discipline are held. The Foundation supports the educational activities of the Young Marines of the Marine Corps League and the Youth Physical Fitness Program of the Marine Corps League. Both of these programs have been widely recognized as being very effective in the area of drug prevention and character development. The Young Marine of the Year is awarded recognition in the form of funds to further their education. The Youth Physical Fitness National Team Competition is held annually and top scoring male and female teams and individuals are recognized with cash awards. The foundation provides Humanitarian Aid through grants to individual Marines and families of Marines who are in a difficult position due to circumstances beyond their control. The needs are verified by local Marine Corps League officials, who often rally local Marine Corps League members to provide additional assistance as needed. Here’s the situation – 250k Service-members and Spouses transition out of the military each year and are looking to pursue opportunities in education, entrepreneurship and employment. A daunting task that is confusing, isolating and requires the right network to succeed in. And at the same time-94% of Americans deeply respect military service and want to do more than simply say thank you for your service. SO – we built VETERATI to bring the two together. Veterati is the most advanced, digital mentoring software in the market to connect transitioning service members and military spouses with successful professionals, for the critical ADVICE, Community, and Connections to navigate through and beyond their military transition. We use awesome features like algorithmic matching, smart calendar syncing, sms notifications and automated reviews for users to have an incredible state of the art mentorship experience that supports you move forward with every conversation. Sign up in under 2m at Veterati.com; have a conversation today, and navigate onward in your career journey! Marine For Life Network (M4L) connects transitioning Marines and their family members to education resources, employment opportunities, and other Veterans services that aid in their career and life goals outside of military service. The Marine For Life Network offers Marines and family members connections to military-friendly employment, education, and other Veteran and community resources. To connect with our LinkedIn network please visit us on https://www.linkedin.com/company/marine-for-life-network. Supporting Our Heroes recover, transition, & thrive. Semper Fi Fund focuses on innovative and effective programs that make a difference. They provide financial assistance and lifetime support to post-9/11 combat wounded, critically ill and catastrophically injured service members and their families. You are not alone. From injury through recovery, comprehensive programs improve the lives of wounded veterans and address the unique needs of their immediate families. LCpl Parsons Welcome Home Fund for Vietnam Veterans – The program will expand the mission to care for veterans from all US military service branches who are catastrophically injured from combat operations in Vietnam. 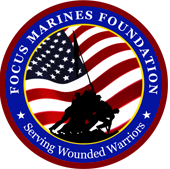 The mission of Focus Marines Foundation (FMF) is to develop and administer programs for wounded warriors which will assist them in their transition from military to civilian lives. FMF developed a week long program called FOCUS, located west of St. Louis, Missouri. The program is conducted four times each year with a maximum of 30 per class. Participants arrive on Saturday and depart the following Saturday. Marine Combat veteran founded and operated, Semper K9’s mission is to enhance the quality of life for wounded, critically ill and injured members of the U.S. Armed Forces and their families by providing them assistance dogs. Using rescued and donated dogs we provide service dogs for psychiatric alert and mobility challenges free of charge to wounded service members to enhance their quality of life. The Tragedy Assistance Program for Survivors (TAPS) is the leading national organization providing compassionate care and survivor support services for the families of America’s fallen military heroes. Since 1994, TAPS has offered support to more than 80,000 survivors of fallen military in the form of peer-based emotional support, grief and trauma resources, grief seminars and retreats for adults, Good Grief Camps for children, case work assistance, connections to community-based care, online and in-person support groups and a 24/7 resource and information helpline for all who have been affected by a death in the Armed Forces. Services are provided free of charge. The Marine Executive Association is a national, volunteer, non-profit organization of former and current active duty Marines. MEA provides resume review, job hunting tips and tools, job posting by employers, resume posting by Marines, and resume and interview coaching by volunteer Marines.